Heraclitus said, “The only thing that is constant is change.” My entire life and career have been and continue to be defined by a series of radical changes; a series of moments, based on numerous epiphanies that have led to an amazing journey of personal transformation and an exploration of experiencing the true nature of who we are. Having worked in a range of industries and business areas over the years, it became clear that many employees did not have a great quality of life, due to sub-optimal work environments, organisational and leadership issues, as well as personal challenges in their lives. This resonated with my own personal experience in the corporate sector, sparking off my healing journey into self-discovery and self-development over ten years ago. This led me to an entirely different way of engaging with life, filled with magic, wonder, presence and openness to possibilities. 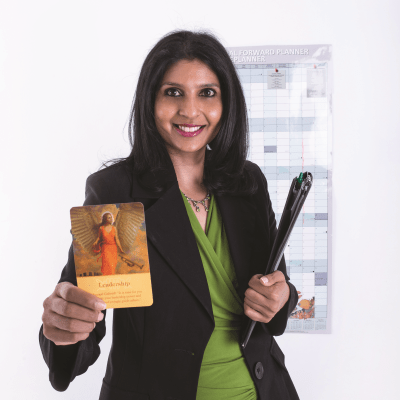 After leaving the corporate sector, I pursued the entrepreneurial route by consulting in the non-profit sector and founding Divine Intervention Holistix (Pty) Ltd. The business is dedicated to assisting people to transcend challenges and transform their lives so that they can live life from a place of passion, authenticity and freedom. This eclectic approach is holistic, combining western and eastern spiritual principles without any religious dogma. The process traverses science, quantum physics, psychology, business and life coaching, metaphysics and energy healing. I travel extensively to the United States, United Kingdom and Europe to study cutting-edge coaching and energy healing modalities. This deepens my own transformation and facilitates life-changing transformation for others, individually or in the corporate environment. The time has come to increase conscious leadership development in all spheres of life!